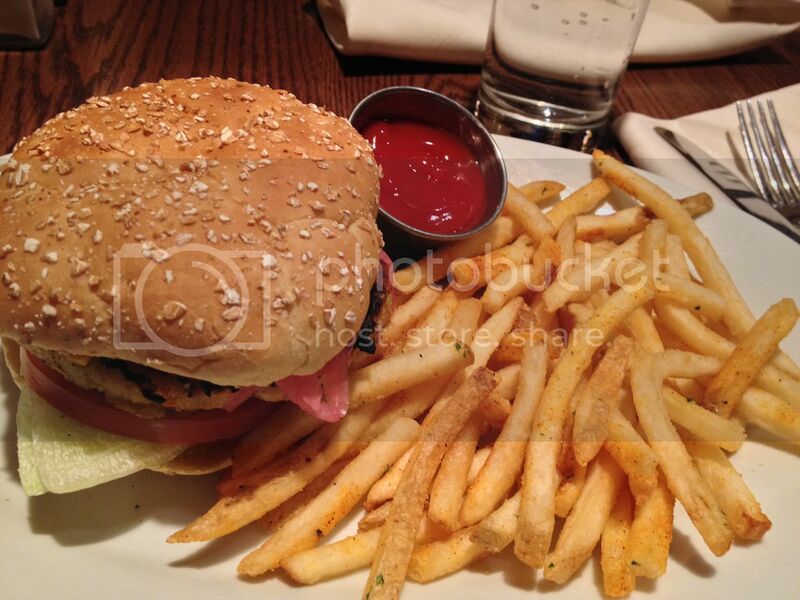 Mad Hatter's Pantry: Mad Hatter In America - Burgers! 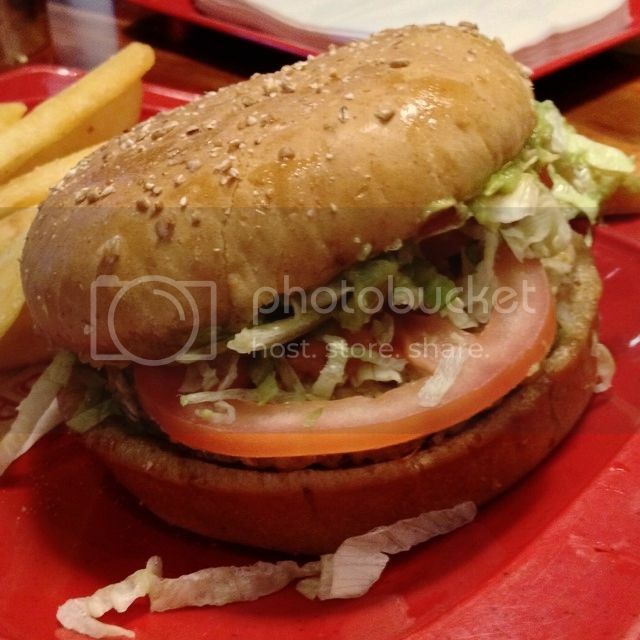 Most places that offered a vegan burger gave the option to choose a BOCA patty, with some also offering their own take on a vegan burger. We were prepared for the BOCA patties to be a bit lacklustre with them seeming to be the bog-standard choice, but we were pleasantly surprised. They were really nice, and better than a lot of the vegan burgers we get over here! I've listed below the various burgers we tried. I've taken the description from the website and noted our modifications in brackets. 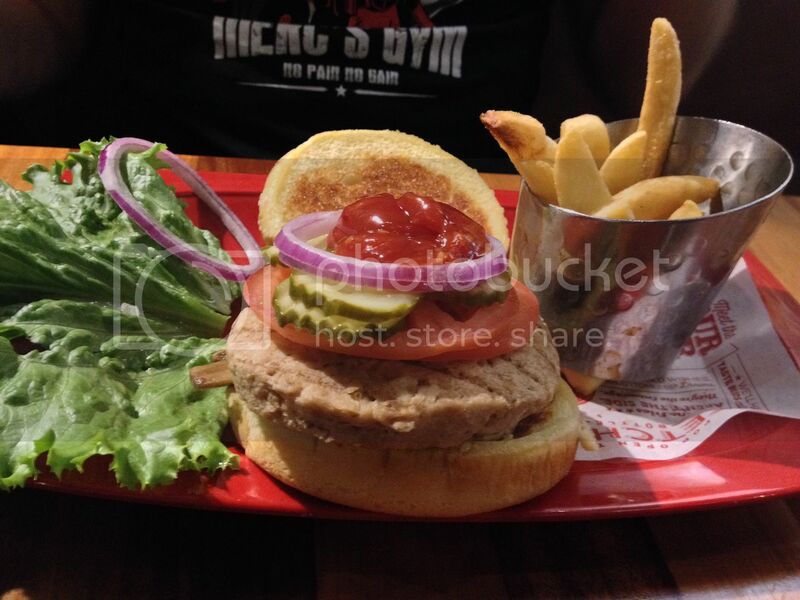 We ate at Red Robin twice during our stay, as the food was really tasty and we wanted to try both types of vegan patty! The Garden Burger was delicious - they've done a great job with their in-house vegan patty. 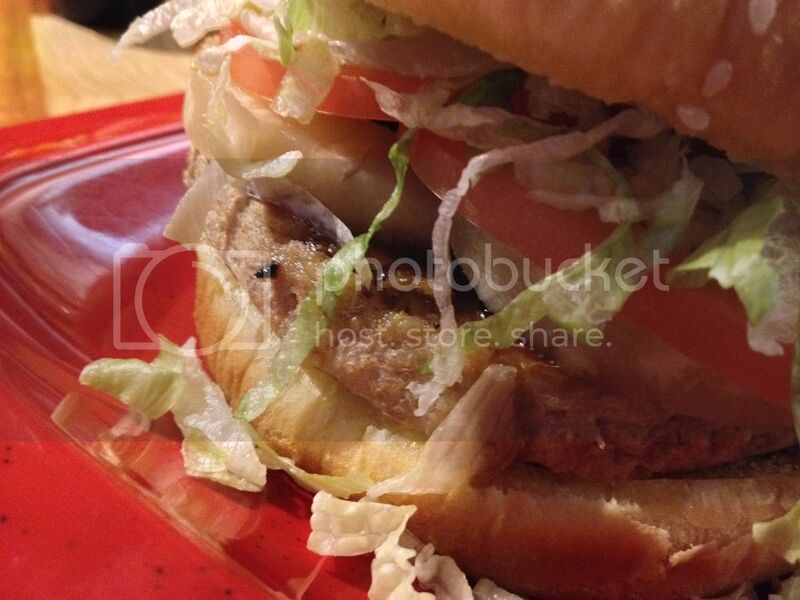 The variations we tried with the BOCA patty were also great - I'm pretty sure we'll be going back again this year! We did buy more than just burgers from Healthy Junk, so I will be writing about the cafe in a separate post - but we both decided that this was our favourite burger of the holiday! The patty was huge and really tasty! 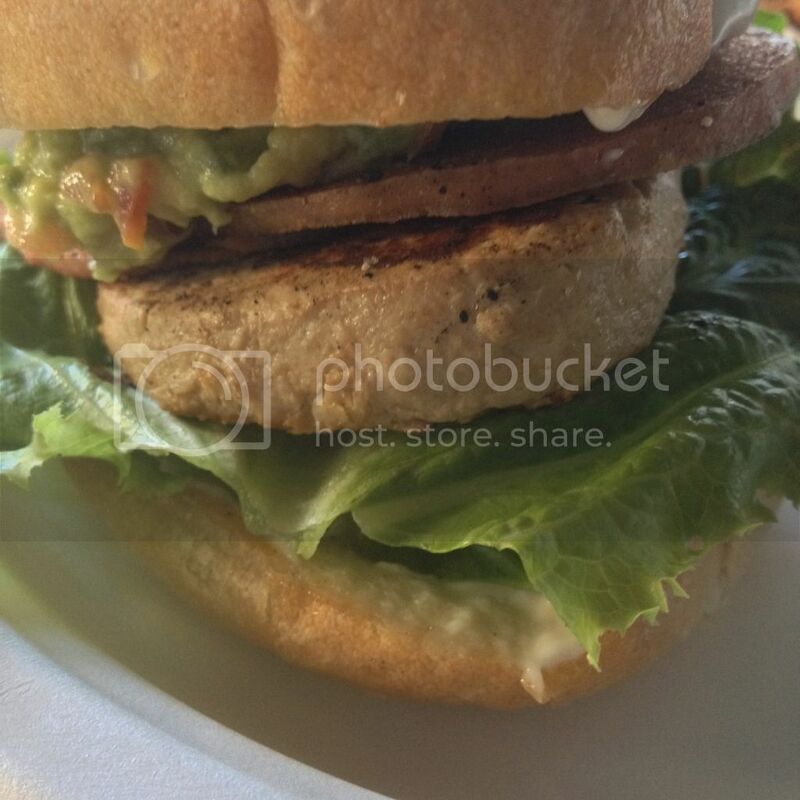 This was a daily special - the description was "Chick Patty - Guac - Tomato & Onion". We added extra bacon. 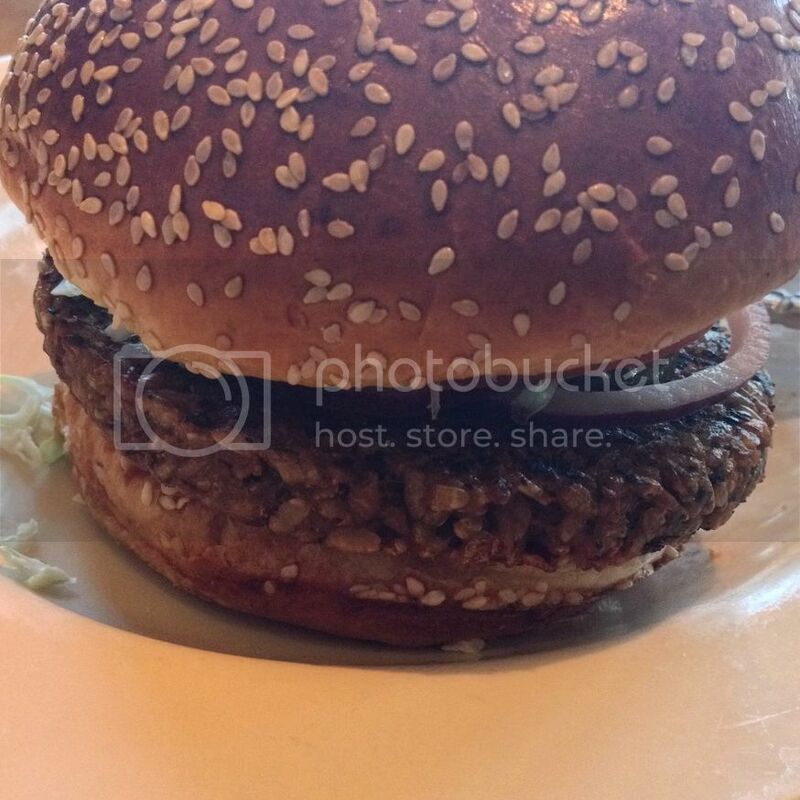 I actually had a salad from Cheesecake Factory (again, I will be talking about this in a separate post) but Mr Hatter tried the burger and was pretty impressed. He usually prefers his burgers to be of the fake-meat variety, so it must have been a good one! I already talked about our meal at Carnation Cafe in Disneyland, but I wanted to include it here as well because it was a burger!